Frequently asked questions about our pet care services are listed here. Don’t worry if you think the question you have is silly or not, more than likely other people have also thought the same thing. We understand many people are nervous about hiring a professional pet sitter, dog walker or other pet care provider so hopefully this page will help you relax. Before we get started running through the common questions, let me say this: I’d love the chance to work with you and your dog, cat, bird, farm animal and even exotic pet. Please feel free to scroll through the questions, if you need additional help or have questions that aren’t listed here, feel free to send us a message. Be sure to check out our REVIEWS page which includes many testimonial reviews from some of our pet sitting, dog walking and farm sitting clients! FAQ’s – Don’t see something you want to ask? Send a message! 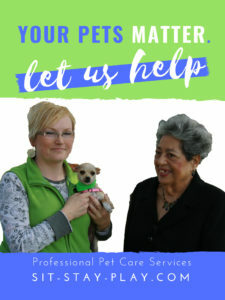 Q: How do I schedule pet care services. Can I meet the person that’s going to be watching my pet? A: To request pet care services, visit this link to get started. At that time we’ll talk about our services, our policies and we’ll set a consultation up if you’d like to book services. Usually we estimate 30 minutes to go through everything. 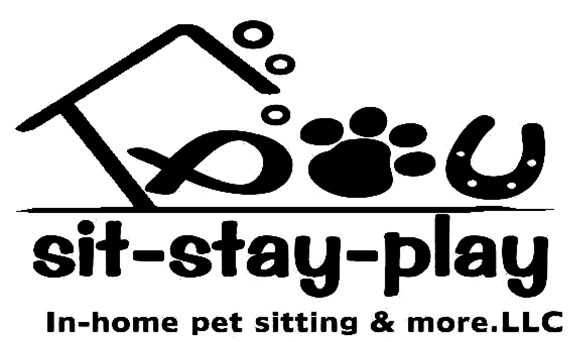 When you hire sit-stay-play, any of our awesome pet care professionals can work with your pet(s). You can request a one-on-one meeting with any of our pet care pros for the price of a regular pet care visit. 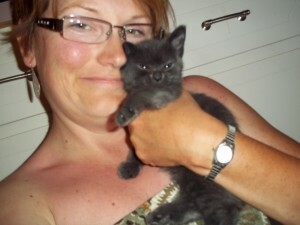 Q: I need pet sitting services starting tonight or tomorrow, can you help? Is there a required number of visits for pets? A: While we pride ourselves on being able to accommodate last-minute requests, this often causes us to change our personal plans. Additionally, we need to shift around pet care visits when possible and make sure we have staff that can cover the added work. For these reasons, a $25 Rush Consult Fee will be applied to any service that needs to start within three days. Our policy of picking up two keys applies. We’ll also need to have your completed pet care forms and payment prior to starting services. We’re more than willing to work with you as long as you’re comfortable with these policies. For the health and safety of all pets in our care, we do require at least two visits per day for all dogs, even ones that stay outside or in a garage set up. Cats and inside pets require at least one daily visit. 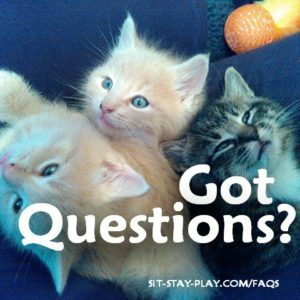 Welcome to our faqs page where you’ll find common questions Muncie, Anderson and Yorktown, Indiana pet parents often ask. Book your pet care services today! Q: If I’m a new client, how do I pay for services and when is payment due? A: All new clients must pay for their services at the consultation OR send payment to the office prior to us starting services. We currently accept cash, check, money order and chase quick pay. Your service isn’t guaranteed or booked until the fee is paid. Current clients can leave payment so we can pick up on the first day of service. However, we like to remind people that if we don’t receive payment at the start of services, we reserve the right to suspend our care immediately until payment is received. Q: What if I need to cancel my services? A: We understand that situations may change and it might be necessary to add or remove services you’ve already booked, in those cases, check out our cancellation policy page. Q: Do you guarantee you’ll be at my house an exact amount of time? A: Yes and no. It depends. Don’t be scared, let me explain. We vary the times to help with security issues. Here’s an example: you book three visits a day for your dog while you’re on vacation. Your dog eats in the morning and right before bedtime, those two visits will probably be a little longer than the lunch time visit. Why? We have more to to do. Your dog needs to potty, eat, then potty again, maybe take a walk. The lunch visit might just be a potty break, depending on the weather and his fitness level. Some dogs couldn’t handle three walks a day, others would take 10. Also, the visits won’t be at the same time exactly so neighbors and nosy people won’t see us at your house exactly the same times every day. Here’s another example: you hired us to spend time with your kitties, to feed them, water them and keep their litter boxes tidy. But, your cats are pretty much feral. They want nothing to do with us (or you for that matter). In this scenario, our time would be shortened more than likely since we can’t sit down and play with your cats or love on them. Again, the time will fluctuate to help with security. Q: Do you have a policy for late payments? A: Yes we do. All services must be paid for prior to us starting services. Late payments of $5.00 per day begins 5 days from our last completed service. Holiday late payments also apply, you can see those on your contract. Q: Do you guarantee a time for dog walking or pet sitting? A: We do our best to visit your pet(s) in a time-frame we’ll discuss at the consultation. Typically we have a two hour window for lunch time dog walks. We also have a two hour window for all of our pet sitting visits. However, if a pet is on medication or has other issues that we need to consider, please share this at our consultation. Q: Do you make house calls for pet nail trims in Anderson? A: Yes we do. The price is $15 for the first pet and $5 for each additional one in Muncie. Areas outside of Muncie will be charged a gas/travel fee. Send us a message if you’d like to schedule a service. Q: What if my dog doesn’t get along with other animals or people, can I still utilize your services? A: More than likely, yes! However, please read this and contact us to discuss your specific situation. We’ll try our best to work with you to integrate our services with your pet, but depending on the severity of issues, a consultation and paid trial pet care visits might be necessary before we agree to the service dates you request. Jackson asked if I liked getting doggy kisses and Golden Retrievers, here’s my answers to his FAQ’s! Yes, to both. Q: Can I book services on Facebook, Twitter or Instagram? A: Unfortunately we can’t accept service bookings through Facebook, Twitter, Instagram or other social media platform, however, we’d be more than happy to talk to you about our services on those channels. We can chit chat and exchange pics. Remember, it’s just a little hop over to the website to request your initial service. Q: What if I have a lot of cats, can you still help? A: While we do have several clients who have numerous cats, we like to see the home and the conditions prior to accepting the job. If the living conditions are safe and sanitary for the cats then more than likely we’d be able to care for them. On the other hand, if the living conditions are unsafe for the kitties or humans, we’ll discuss this with you and try and help you figure out a solution. We believe that no one starts out intending to get boat loads of kitties but without spaying and neutering, reproduction can quickly overwhelm even the most loving cat parent. Q: I’m nervous about having someone in my home, how do you help me get over that fear? A: Thank you for being honest. It’s perfectly fine to be scared or nervous. Having a person in your home that you’ve never met can be a little nerve-wracking but we work really hard to be as transparent as possible about who we are. All new clients have walked in your shoes, they know the feeling. I know the feeling because I’m also a consumer of services. Q: I live in an apartment complex in Yorktown, do you give discounts for dog walking if there’s other dogs you walk in my building? A: We can! Depending on the location, the time frame services are needed and our availability we’d love to work out a deal with you. Q: What if I have multiple animals and I live in the country, can you still pet sit for me? A: Of course! Most of our clients have dogs and cats and that is one of the main reasons they call us to care for their pets. It’s convenient and clients like that they don’t have to worry about having multiple people in their home. We can take care of them all (even farm animals)! Discuss this during your initial consultation so we plan accordingly and can communicate the correct price for the care. Q: What happens if there’s an emergency with my pet or my house while I’m away or there’s an emergency with my pet sitter? A: We will attempt to contact you prior to making any decisions (barring life-threatening emergencies). During our initial consultation, we’ll discuss veterinarians and other necessary items related to your pet. 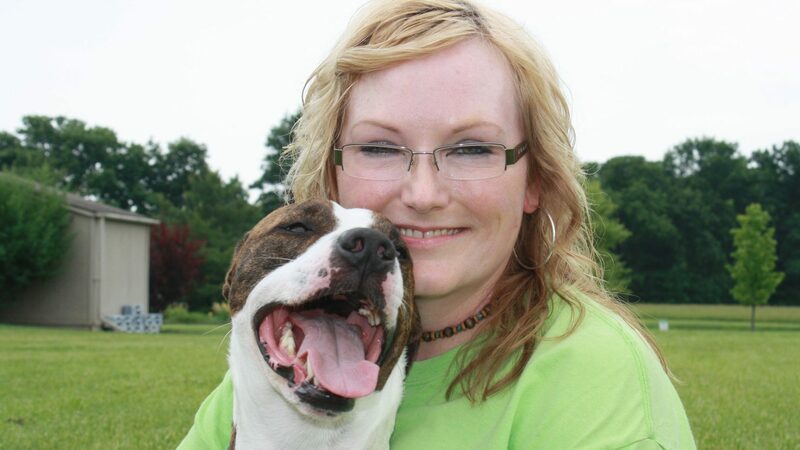 Most of our pet sitters are certified in Pet First Aid & CPR and have years of pet experience. Our pet care providers have extensive knowledge in handling a wide-variety of animals and ailments. If something would happen to your home, i.e. plumbing problems or electrical issues, we’ll go by the plan we have discussed during our initial consultation. The initial consultation is very important so we can have a walk-through of your home to see location of things such as: light switches, thermostat, pet food and supplies. We encourage you to fill out the Emergency Contact From completely so no question is left unanswered. Emergencies can arise with our pet sitters too. Read this post and see how we handle those rare occasions. Q: What if I’ve scheduled a poop scoop service and it’s raining? A: Our pet care professionals will do the best they can with the conditions they’re working in. Normally we can scoop the poop regardless of the weather however, if we can’t do our job effectively, we’ll reschedule and adjust your account accordingly. Q: I’ve set up training sessions but need to reschedule, can I do that? A: Contact us as soon as possible so we can schedule for the next available time. Weekly visits are important to establish appropriate behavior and nip bad habits early on. Q: What if I schedule a trip and decide to come back early? A: If your plans change, give us a call as soon as possible. We do have a cancellation policy but will work with you to the best of our ability, however, we reserve time specifically for your pet care job and turn away other clients during that time. Services that aren’t cancelled within the specified guidelines, will be charged accordingly. Thank you for your understanding. Those are some of the most common FAQ’s people ask us and we hope you found this information helpful. Click this link to set up pet care services!